Drones are being considered by Northumbria Police. Crime chiefs are debating whether to buy their own high-tech drone to support police officers. Northumbria Police says deploying a drone could enhance traditional patrols, as well as providing help in searches for missing people and “complex” police operations. The force has previously used the Tyne and Wear Fire and Rescue Service’s drone, but Assistant Chief Constable Helen McMillan said in a meeting with Police and Crime Commissioner Vera Baird that its use could be increased. Following a national analysis of use of police drones and National Police Air Service helicopters, Northumbria chiefs say they will explore the possibility of buying its own drone – which could cost anywhere between £1,450 and £60,000. Most other police forces in the country, including Durham, have already purchased drones. 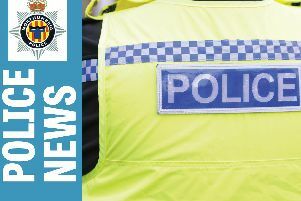 A Northumbria Police spokesman said: “We are keen to embrace the very latest technology that can assist officers to deal with difficult and dangerous incidents and offer protection to the public. “The deployment of drones can be advantageous in a number of ways, supporting the traditional methods of foot and aerial patrols, and can be used in anything from a missing person investigation to day-to-day policing and complex pre-planned operations. “However, any such use must be in line with the criteria set out by the Civil Aviation Authority and it is of prime importance that they are used appropriately in the interest of public safety and efficient allocation of police resources. “We have been working collaboratively with Tyne and Wear Fire and Rescue with the view to using their drone facility, when necessary, and consultations are ongoing to develop more guidance on how police can use drones to help keep people safe. A recent report by Her Majesty’s Inspectorate of Constabulary and Fire and Rescue Services concluded that a proportion of the air support provided by NPAS could be undertaken more efficiently through drone use. It said: “It seems clear that the direct costs of operating a miniature or small drone will always be lower than those of operating a helicopter, although it should be recognised that drone operation also requires a ‘crew’ of at least two people, and so costs will not be negligible. “Cost is only one factor to consider when choosing between different types of air support for any given task.